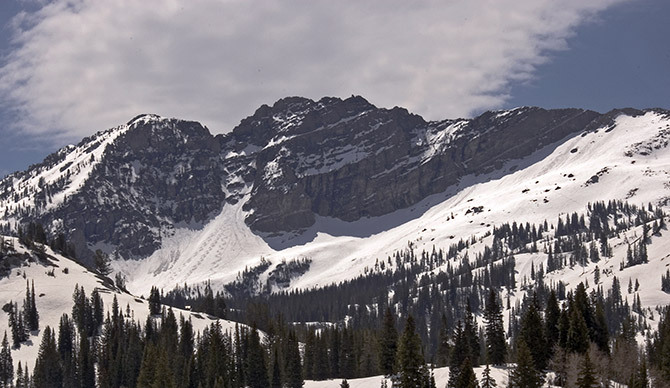 Lacking a refreeze but desirous of turns I headed for consolidated snow, otherwise know as the Devil's Castle area at Alta. I met two old friends in the upper parking area. Geno offering a ginseng root. 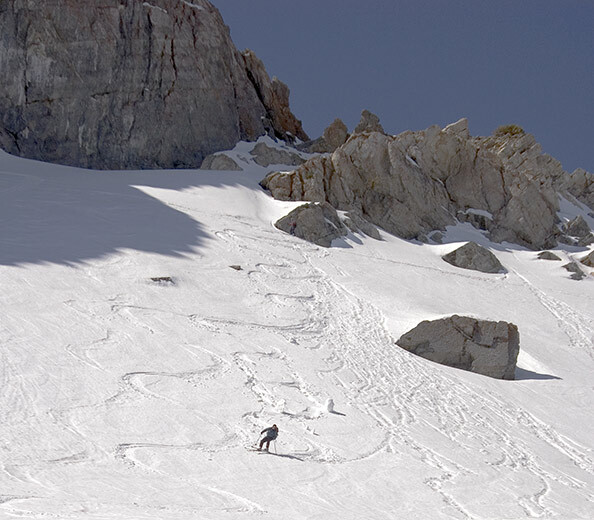 We skied the back corner of the traverse, initiating a few rollers from lingering unsettled snow. A second run was made on the apron. That had a marginally refrozen and breakable crust for the first few turns, then deep supportable slush. The snow is approaching a summer state, with pole penetration of less than a foot.